The use of military attack drones were pitched to US citizens as a way to launch organized airstrikes against specific targets, while also keeping US military personnel out of harm's way. However, the collateral damage - and accidental bombing due to poor military intelligence - has killed 1,147 people while the military targeted just 41 men, according to human rights groups. Drone strikes against 24 targets in Pakistan, for example, have led to 874 deaths, with multiple unsuccessful strikes only lead to even more strikes. US Secretary of State John Kerry previously said the CIA and military only launch drone strikes against targets that have been vetted over a period of time, though cases of mistaken identity appear to be increasing as well. 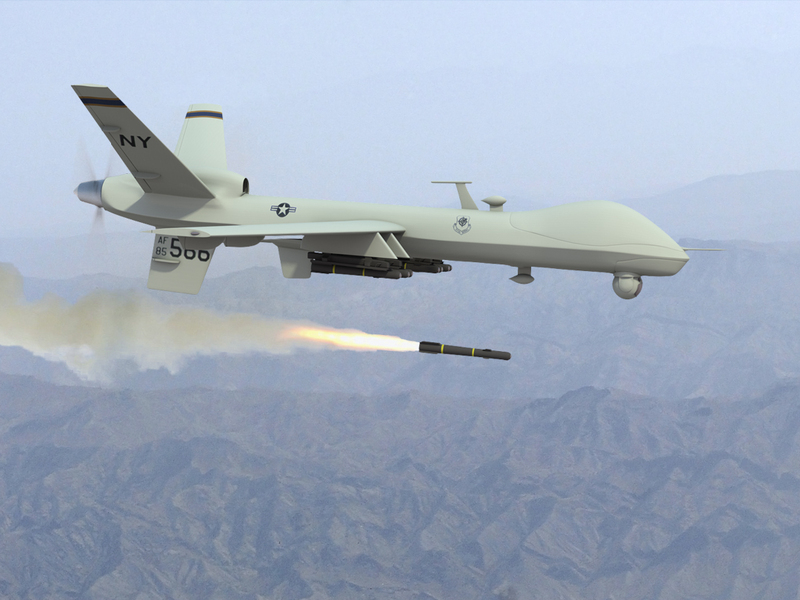 "Drone strikes have been sold to the American public on the claim that they're 'precise,'" but they are only as precise at the intelligence that feeds them," according to Jennifer Gibson, US attorney and Reprieve staff member. "There is nothing precise about intelligence that results in the deaths of 28 unknown people, including women and children, for every 'bad guy' the US goes after."